FLASH SALE!!! MAKING WAY FOR NEW EXCITING THINGS! RRP USUALLY $18!!! Something for the minimalist? 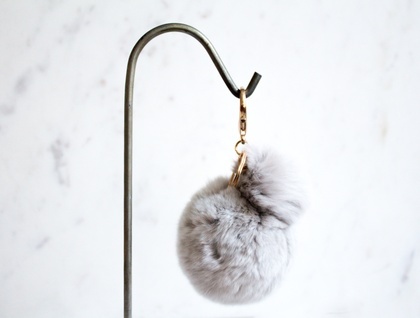 We are big fans of grey around here, so this keyring ticks all of our boxes. The double gold fixture mean these are great for using as keyring or a bag charm. Large Ball measures 8cm, smaller ball measures 5cm. 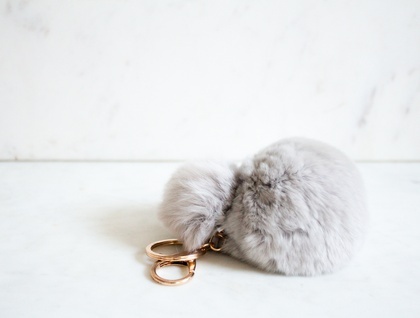 Make from ethically sourced rabbit fur. Contact crushes to enquire about payment or shipping options.